Troughs are normal to the surface. This is the typical "solar noontime" orientation. 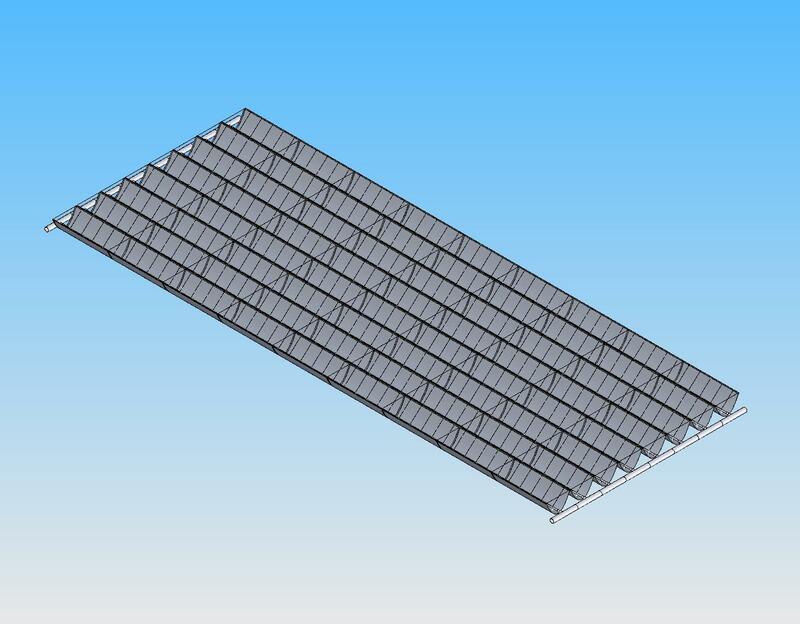 When is is desired to collect precipitation (rainwater, snow) the panels may be rotated to this position, The slippery surface will effectively channel water & ice to the lower edge into collection gutters for runoff control.